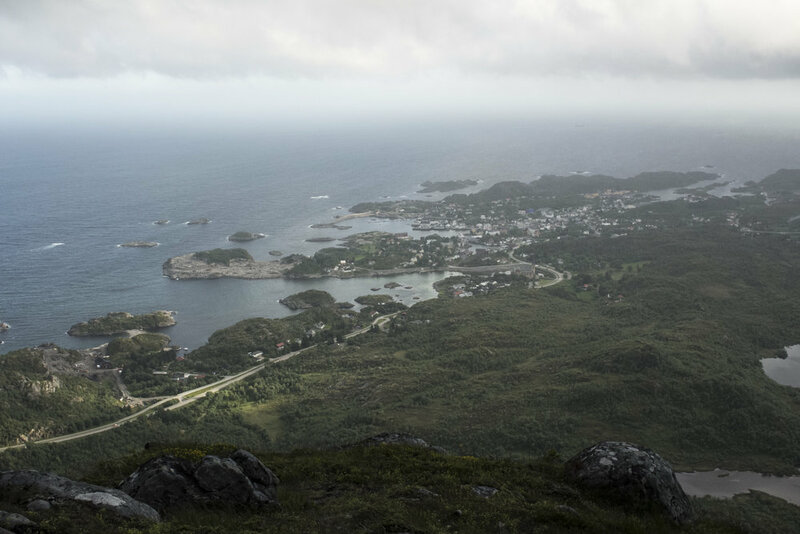 I've finally left the quaint confines of Moskenesøya and have a few nights in Kabelvåg over on the larger island Austvågøy before I fly north to Tromsø. The hostel here is great, although I'll be in a cheaper Airbnb for the next two nights. My accommodation in Fredvang was not only a rip (600kr for a night and 100kr for linen) but they had the balls to put a coin slot in the shower and charge for hot water (10kr for 4 minutes). Here the reasonably priced dorms include linen AND breakfast the next day. For an extra 100kr they let you pack as much as you want to take away for lunch (which I would've done anyway, but this way I can at least stash bread rolls in my bag without the weight of guilt). At the suggestion of a fellow traveller, I set off for the nearby Tjeldbergtinden, a gentle mountain separating Kabelvåg from nearby Svolvær. It wasn't a difficult climb, although the clouds were only just clearing after three days of rain and the track was muddy and wet for the most part. Clever me managed to splash a fair amount of mud on my jeans as well as almost face-planting and going down on my knees when I slipped on a ledge. All that was missing was Shelley Craft narrating and a sound reel of home video blooper noises playing in the background. 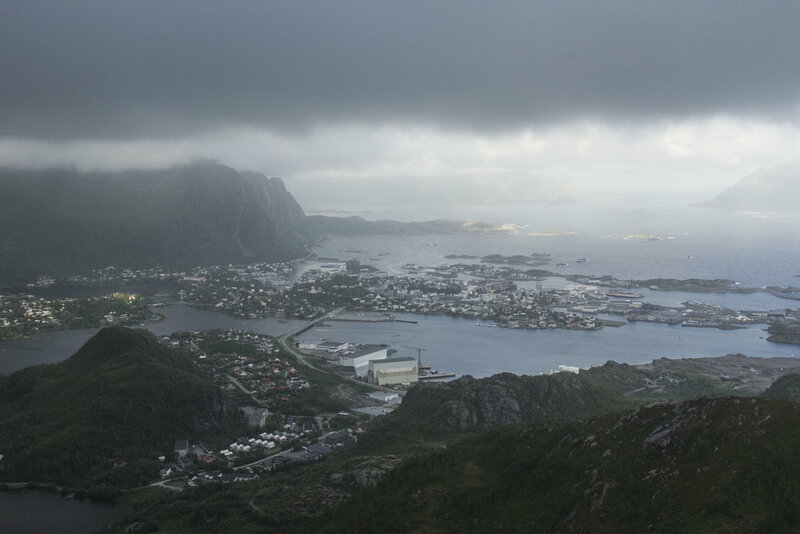 The messy ascent was rewarded with sweeping views of Svolvær on the left and Kabelvåg on the right. After the scramble down I caught a bus back to town where I was disappointed to find that the supermarket was closed, despite the large sign saying '7-23'. Sources tell me that Norwegian supermarkets larger than 100sqm close on Sundays because of 'strong unions'. Fun fact of the day for you.